This is to every dentist who continues to over treat, mistreat and abuse children in the name of a dollar and to meet production goals. This is to every support staff who quietly sits back day by day and says nothing. This is to every office manager, corporate fat head, and investment banker behind any and all corporate dental mills and medicaid dental facilities. This is to each and every person along the chain from top to bottom. Patient coordinators, IT staff, recruiters, etc. This is to every member of any state's dental board who are turning their heads, some even in collusion with the criminals who call themselves dentist. You are disgracing your chosen profession. If you are paid directly or indirectly from these substandard dental facilities you are just as guilty of killing the next child as the dentist in the seat next to you, in my opinion. Imagine the number of children sitting in waiting rooms right this second in all the dental mills such as Small Smiles, Kool Smiles, Smile Starters, Dream Dental and others. Which child will die or almost die today...what about tomorrow? The next time you see or hear the word, underserved I want to to think about each one of these dead children who were killed by overserving the so called underserved. Now, on with today's programming. 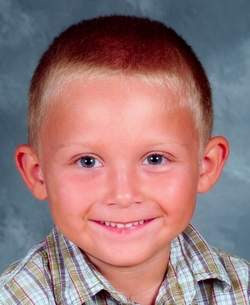 This is Dylan Shane Stewart, he was five years old. At least take the time to read his obituary, the next Dylan may be an obit of a child you had a hand in killing, whether it be directly or indirectly. Those who knew and loved him called him "Dilli Man". He died April, 22, 2010 in the care of Dr. Ronnie Lynn Grundset a dentist in Gainesville, Florida. Dilli Man was there to have four fillings and eight caps put on his teeth. Sounding eerily familiar to you. What about you, Dr. DeRose? His parents stayed with him as he fell asleep. They took him from the room, and like each of you do many times a day, they reassured his parents, that Dilli Man would be ok. Dilli Man was NOT ok. They stepped outside. Jennifer, his mom heard sirens. They kept getting closer to Dr. Grundset's office. That is when the instinct all mothers have kicked in and Dilli Man's mom knew something was very wrong. Dilli Man's parent ran inside and watched the staff perform CPR. When the ambulance arrived, they took Dylan to Shands at the University of Florida, his dad rode in the ambulance with him. Close your eyes and imagine being Dylan's father. Now, you females, who are to damn scared to step you and report these incompetent and careless dentists, take another minute and close your eyes. Imagine being Jennifer, Dilli Man's mom, following behind the ambulance as it raced to the hospital with your 5 years old child's life hanging by a thread. If you don't feel the unbelievable pain and panic in your gut, you should be ashamed, but most of all you should be scared. Tomorrow you will get up, put on those scrubs and walk in that dental clinic and each child you take back, may be the one you kill today. About 45 minutes after arriving at the hospital, Dilli Man was dead. He was 5 and he was dead! Why? Dr. John Rutkauskas, chief executive officer of the American Academy of Pediatric Dentistry said that among the possible causes of death of anyone who received a sedative was anaphylactic shock. "Anaphylaxis shock is the body's allergic reaction to a drug." "Hundreds of thousands of sedatives are used in pediatric dentistry on an annual basis, and you almost never hear of a fatality." he said. This is the AAPD's talking points. More on that later in this article. I'm sorry Dr. Rutkauskas, ALMOST is not good enough. Dr. Rutkauskas should have been asked about the procedure Dylan was to receive that day. Wasn't it excessive, what about how necessary? Was it really a life or death matter? Did they put him to sleep and strap him in a papoose board and not be able to tell he was in distress? This happens a hell of a lot more than "almost never". This happens thousands of times a month and some dentists and assistants just get lucky. The dental profession is killing our children and the state dental boards are doing little to stop this madness. It is just another example of "agency capture phenomena." "It's used thousands of times every day," dentist Indru Punwani, a spokesman for the American Academy of Pediatric Dentistry and head of the pediatric dentistry department at the University of Illinois at Chicago, told the Times-Dispatch. Please note the response by the AAPD spokesman. Dr. Robert Campbell, a pediatric oral surgeon at Virginia Dental and Anesthesia Associates, told the Richmond Times-Dispatch that the most common cause of death in dental offices under anesthesia is related to an airway condition. According to Campbell, "the most common problem is that the vocal cords go into a spasm and shut down," in the upper airway. He states this upper airway problem could possibly be related to an allergic reaction. The next most common issue would involve the lower airway, in an asthma-like attack. This is referred to as a laryngospasm. In a May 15, 2010 story at the Richmond Times-Dispatch, Tammy Smith wrote: Dr. Indru Punwani said, "untreated decay causes pain and suffering and can lead to infection. Simply pulling the tooth is not always the best option." He mentions there could be speech problems if the two front teeth are missing as a child is learning to speak. REALLY?! Exactly how many children have rotten front teeth at 18 months old? 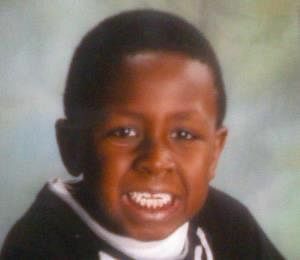 On February 19, 2009 Cory Moore, Jr. age 9 was killed by dentist Dr. R. Andrew Powless. Dr. Powless did business under the name "Florida Special Care Dentistry". Powless sedated little Cory even though he and his staff were completely aware that Cory had eaten prior to the dental procedure. Cory coked to death on his own vomit. Cory's family have filed suit against Dr. Powless, but currently Dr. Robert Andrew Powless's license in Florida are marked "Clear and Active" for Conscious Sedation. Amazingly, (eyes rolling) when you check to see what discipline has been taken against Dr. Powless, it will result in nada. The online file will tell you discipline has been take but in order to view the details, you must write to the Division of Medical Quality Assurance in Tallahassee, Florida. There is also a link on his online license verification that links to actual complaints. These two must be requested. However, there are two case numbers listed, both in 1997. Add to this headache to check on Dr. Powless, Florida's professional licenses lookup/verification is hidden deep within the website. Clearly they don't make it easy to check. Children are vomiting daily in these dental mills. The employees simply flips the child over and suction. It's easier to flip the child while strapped to "The Board"! "It's a rare event, but when it occurs it's a tragic event and we certainly don't want it to Inoccur," said Dr. Milton Houpt, chairman of pediatric dentistry at the New Jersey Dental School, who says he has been studying the issue. Dr. Houpt said there are no national statistics on the number of children who die while being sedated in dental offices. The available information is anecdotal, said Houpt, who is conducting a survey with a colleague that includes questions about whether dentists have experienced deaths in their offices. "In a sample of 2,000 practitioners, you may have one or two" deaths, Houpt said. But that estimate also is anecdotal. "There has, over the years, been increasing attention to this issue in order to make sedation as safe as possible," he said. "That attention led to the development of guidelines and the review of those guidelines on an ongoing basis. "I think it's important to recognize there are literally hundreds of thousands of sedations each year and they're almost always performed in a safe fashion," Houpt said. I have serious doubt in some of Houpt's statements. Didn't that last sentence sound familiar? Almost word for word from Dr. John Rutkauskas'. Well that would be because they are the AAPD talking points sent out in a recent memo. They call it "we have finalized a media holding statement" Dr. Houpt says these deaths are extremely rare, however he also said no one keeps records. So which is it. If he's doing this study, it shouldn't take him but a week or so, if he knows about "google". Supposedly this is a 25 year study and should be available soon. REALLY? C'mom 25 years! Sounds more like keeping it under wraps for 25 years to me! The Academy does not keep such statistics because it is not required to and, given the litigation that frequently shrouds the cases, it is difficult to do, according to Academy spokesman Dr. Stephen Wilson in a scathing article in Health News Florida by Mary Jo Malone. In the same article Mary reports Dr. Stephen Wilson says, "Such cases are handled by dentistry boards as individual disciplinary complaints, if substandard care was involved." Are you kidding me??????????????!!!!!!!!!!!! There are statistics on how many people are struck by lightening each year, there are stats on how many birds live in any particular area, and no one is keeping track of how many innocent children die at the hands of a dentist! Honesty, this is just crazy. My guess is it's the "A Few Good Men Syndrome" as to why no one is tracking this. The profession can't handle the truth and they don't want the general public to know the truth. This is what I've been saying about the inadequacy of those very boards. Board members are appointed and serve a short term of 2 years or so. At that point those same board members are back into private practice and could well find themselves on the carpet being judged and sentenced by someone who has an ax to grind. And taking a phrase from a reader, Turkey's don't usually vote for Thanksgiving. So the chances of rules and regulations to curtail this is not likely. The memo from the AAPD has links to several deaths but leaves out many as well. As with Javier Villa, who was killed by Dr. Gabriella Pham in 1997. Javier was only 4 years old. A 22-page statement released by the court tells of what happened in the clinic through the eyes of the two dentists and two unlicensed assistants who cared for Javier. Dental assistant Claudia Briseno told investigators that dentist Dr. Gabriella Pham had filled three of Javier's cavities and worked on a fourth when they noticed mucus coming from the boy's nose. While (dental assistant) Alejandra Juarez was wiping the nose, she noticed that the chest was not rising. ... Alejandra put the mouth mirror up to his nose and it did not fog up. She checked for a pulse and could not locate one. Well, bless his poor heart! He sounds much like the British Petroleum guy who just wants to get back to his life. In Boca Raton a 10 year old died in 2006 from aspiration complications at a dentist office. There is Jonathan Barrera who died from an overdose of anesthetic while strapped to a papoose board. 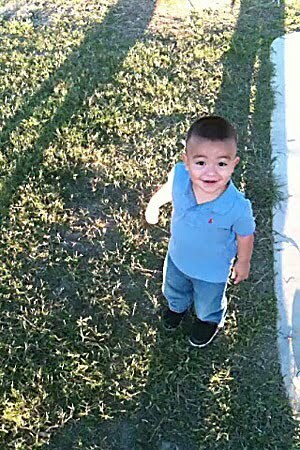 He was killed by Dr. Mathew Nolen (deceased) and worked under the direction of Dr. Edward DeRose, Dr. Michael DeRose and Dr. William Mueller in one of the Small Smiles clinics in Phoenix. Jonathan was 4 years old! Jonathan is dead. Maddoux Cordova was 22 months old when he was killed in December 2009 while having crowns on his teeth. Dr. Cynthia Banker was in charge of this one. I want each of you to look at his distraught mother's face. See the pain. Can't you feel her agony? I know I can. Look at this sweet little boy. Maddox was on 22 months old!!! Less than 2 years old!!! How many teeth could he have had? Crowns? Really? That answer would be a big fat NO. Every time these dental mills try and defend their outrageous behavior with all the stainless steal crowns and baby root canals, the very first thing they will tell you is about Deamonte Driver, a 12 year old homeless child. An infection started with an abscessed tooth and spread to his brain. In fact, this case has been used by "Senator Benjamin L. Cardin (D-MD) and Senator Jeff Bingaman (D-NM) to put more children who lack insurance or who rely on state aid into a dentist's chair." First, even families who have medical insurance, even some very good medical insurance may not have dental coverage! Even if you do, other than free cleanings it covers very little. If I took the cost of our dental insurance and put in the bank, I'd be money ahead. "It is outrageous today that in America, a young boy can die because his family can find a dentist, Senator Cardin. Are you as concerned about all the deaths discussed here, which far out number one who died of an infection. Why are you not on the Senate floor wailing about this issue." And you can quote me on that! These dental mills and other dental facilities use dentists who are substandard at best, the C- to D- students. The poor quality of dental care is killing children! Has anyone looked at how many of these deaths in just the past 18 months are children on medicaid? Most, if not all! Doesn't that say something! You are not helping them, you are killing them! Some will argue the children must be treated aggressively, root canals, caps/crowns are the best way to achieve good dental health. I say your are full of it. 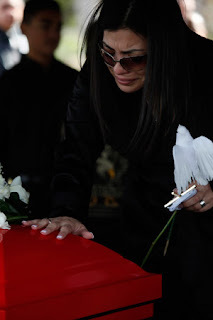 In March 2008 Jacqueline Martinez coked to death at New Smile Dental Office. Jacqueline was 7 years old. The child died from choking on a tooth that was dropped and became stuck in her throat. The dentist who killed Jacqueline was Dr. Thien Luong of Riverside, California. October 2006 5 year old Diamond Brownridge was killed by Dr. Hicham Riba. She too was receiving crowns. She went to sleep and never woke up. Four days later she was dead. Another mother, another father suffering the worst thing a parent could ever experience. 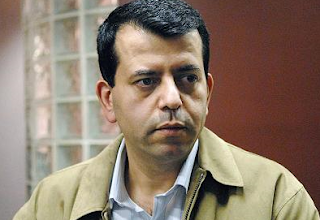 What happened to Dr. Hicham Riba? Dr. Riba was fined a measly $10,000. That was the maximum under Illinois state law. The state board of Professional Regulations suspended Dr. Riba's licenses to sedate patients but only suspended his dental licenses for 18 months. Originally the Illinois Board of Dentistry only recommended his general dentistry license be suspended for 6 months!!!!!! Riba intravenously gave Diamond diazepam or Valium twice -- a 1.3-milliliter dose followed up with a 1.2-milliliter dose -- within a five-minute period, the complaint said. He also gave her "7.5 milligram of an oral Valium, nitrous oxide-oxygen 3:3; .25 milliliter of IV atropine; .25 milliliter IV Talwin; 1.3 milliliter Midazolam and 2 carpules of 2 percent lidocaine with 1:100,000 epinephrine" within a 90-minute time frame, the complaint said. Dr. Riba's insurance company settled with Diamond's parents for $1millon. October 12, 2006 was when baby Jessenia Valles was killed at the dentist office. Jessenia was two years old. She was killed by an overdose of Mepivicaine at Good Sheperd Dental Clinic in Houston by Dr. Robert Choy. The name of the clinic sounds so "Biblical" and safe doesn't it. Jessenia was alone when she died. Her mother wasn't allowed into the exam room with her baby daughter. Alone in the waiting room, her mother heard her precious daughter crying. The other staff reassured Jessenia's mom everything was ok, as they always do. But again, everything wasn't ok.
Dr. Robert Kim Choy was supposed to repair cracks in her teeth, not kill her. After Dr. Choy did his repair they left little Jessenia alone in a room to recover, not letting her mother back there. The child was in there, alone for nearly an hour. The comforting nurse told little Jessenia's mom, she (Jessenia) needed time to recover. As the mother waited patiently in the waiting area, Jessenia died, alone. SHE WAS TWO YEARS OLD! Dr. Choy had been warned by the State Board of Dental examiners in August 2004 that was not to keeping adequate records and the complaint was settled. Finally, when was the last time your office had a mock drill to prepare for the above emergencies. Illinois is the first and only state so far to pass a law requiring dental facilities to have an emergency plan.